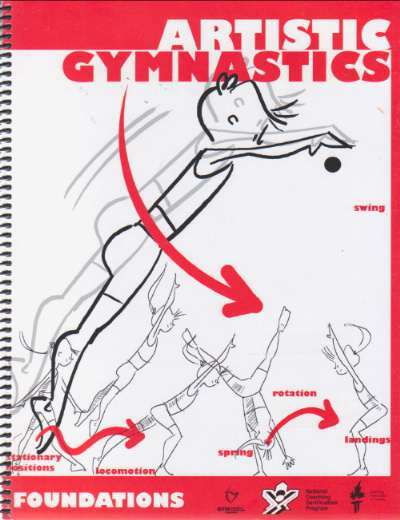 Scribblemonger Book Exchange - Artistic Gymnastics Foundations / "Keith Russell, Georges McKail, Gene Schembri, Beverley Dickinson"
"New clean, tight, (Fine), The Gymnastics Foundations Artistic Gymnastics Manual reviews the educational philosophy of Fun, Fitness and Fundamentals. It is divided into chapters, with each chapter focusing on one of the Fundamental Movement Patterns (object manipulation is covered in Active Start and Rhythmic Gymnastics). Each Fundamental Movement Pattern is defined and explained, emphasizing safety. Many sample activities and coaching checklists are provided. The manual offers coaches the opportunity to “know this” “try this” (refine performance through experiential learning), ID: mon0000128231"